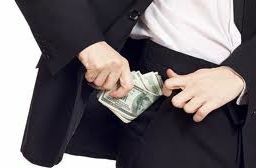 Bribery of witnesses under Calfifornia Penal Code § 137 pc entails the offense of giving a witness a bribe in connection with his/her testimony pertaining to a crime in a legal proceeding. 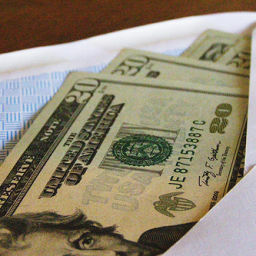 It also involves the giving of a bribe to a witness in connection with his/her providing material information in connection to a crime to a law enforcement official. Penal Code §138(a), addresses bribes offered/given to witnesses pertaining to their attendance at trial or other legal proceeding. Penal Code §138(b), addresses bribes taken by witnesses pertaining to their attendance at trial or other legal proceeding. Below criminal defense attorney Diana Aizman explains the law. How does the prosecutor prove the offense of bribery of witnesses under penal code 137? You acted with corrupt9 intent10 to persuade the witness or person to agree that the bribe will unlawfully influence the testimony or information that they would give. Wayne, Dan’s next door neighbor witnessed Dan severely beating the mailman. Before the police arrived to arrest Wayne, Dan offered Wayne whatever amount of money that would persuade him to testify at trial that the mailman assaulted Dan first and that Dan was just defending himself. Dan could be charged with bribing a witness in this situation because he tried to unlawfully influence Wayne’s witness testimony. Stephanie has been charged with drug possession and drug trafficking. She goes over to see her neighbor, who she knows has been called as a key witness in her trial, and promises to give him a large cut of her drug profits if he leaves town and does not show up at the trial. (c) At the time when you received or offered to receive the bribe, you represented that the bribe would unlawfully influence your testimony or cause you not to attend the trial or other judicial proceeding. 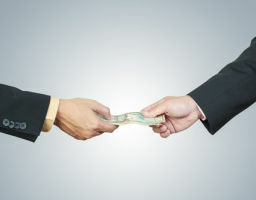 Who Can Be Charged With Bribery of Witnesses Under California Law? You can be charged with the offense even if the witness/person giving information has not accepted the bribe/have been influenced by the bribe or failed to attend trial or other judicial proceeding. However, you cannot be charged unless you had the corrupt intent, as described above. You cannot be charged unless you had the corrupt intent, as described above. The representation that the bribe would unlawfully influence the testimony or cause a witness not to attend the trial or other judicial proceeding may be express or implied. How Can You Fight a Charge of Bribery of Witnesses & What Are The Legal Defenses? Lack of corrupt intent: Because corrupt intent is one of the elements, it is a defense to this charge if you did not possess corrupt intent. Coercion: If you can show that you only committed the offense because you were coerced into doing so, you will be able to get the charges dismissed. Entrapment: If you can show that you committed the offense only because the police lured you into doing so, it operates as a defense to the offense. Intoxication: Voluntary intoxication can also be a defense to this charge if you can show that you were intoxicated enough that you could not form the corrupt intent to commit the offense. 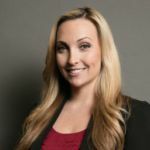 What Are the Penalties, Punishment And Sentencing Guidelines For Bribery Of Witnesses Under California Penal Code 137 & 138 PC? The offense of bribery of witnesses under Penal Code 137 and 138 is a felony and can result in a sentence of up to 4 years in state prison if you are convicted. We have significant experience defending clients charged under california penal code 137 & 138 PC and in consultation with our clients we come up with the most effective defense strategy for your case. The specialists at the Aizman Law Firm will aggressively defend each of our clients. Contact the Aizman law firm for a free consultation 818-351-9555.